Our very successful choir was first established in September 2007. All children are given the opportunity to be a member of the choir. Auditions are held at the beginning of each school year. They perform at the Annual Córfhéile in the National Basketball Arena, usually in March. 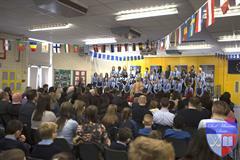 The choir also perform during Confirmation and Graduation ceremonies. 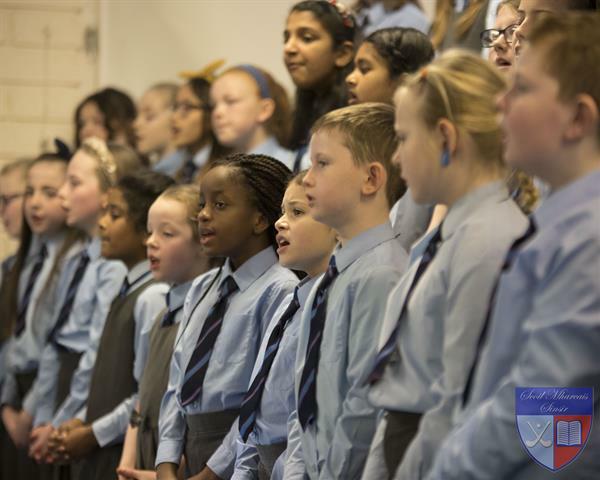 To be a member of the school choir requires a lot of special characteristics- first of all you need to be able to sing, but more than that- you need to be committed and hard working. You need to be willing to give up your time and put the effort in. Generally we practice once a week, but coming up to big events, you may be required to practice two to three times per week and this involves giving up lunch times and often practising during school hours. 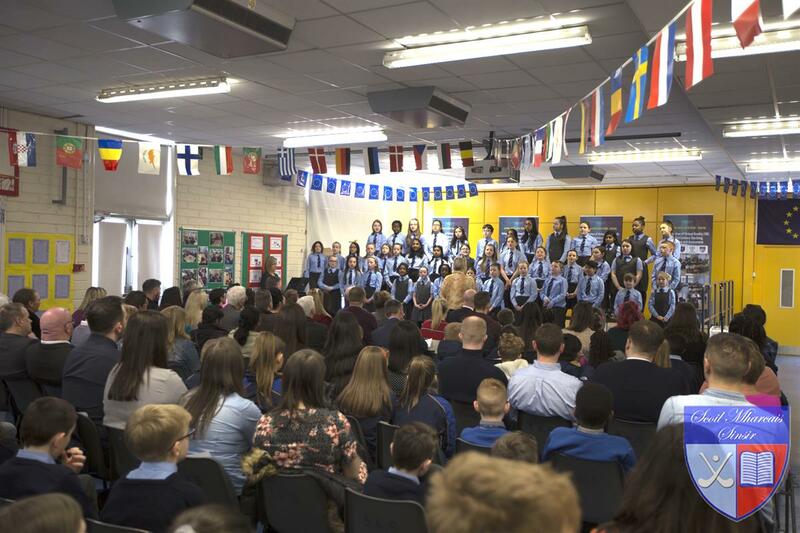 Opening of Arts Week: The children sung beautifully for the parents and grandparents who came to the school for the Opening of Arts Week. Corfhéile: The children performed Linger as Gaeilge, Picture of You and This is Me. Launch of the VR in the school hall.